Government business intelligence company Onvia has released a new report addressing key changes and shifts taking place in public purchasing today. The report — based on a survey of 668 procurement professionals and key decision makers from state, county and city agencies, including school and special districts nationwide — provides insights to businesses seeking contracts with these units of government. The increase in opportunities is contrasted with agency staff’s collective recognition that the formal bid/RFP process is “one of the most challenging aspects of their job, particularly in the areas of research, planning and specifications.” State and local government procurement teams report that since last year there has been an increase in the share of procurement staff that are stretched or overworked. 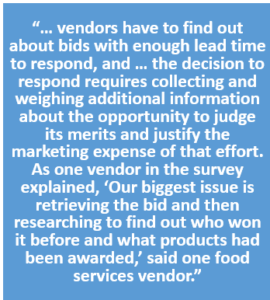 Onvia notes that when purchasing staffs are overworked it has a negative impact on businesses who have to navigate through poorly worded bid language, adding preparation time for bidders. 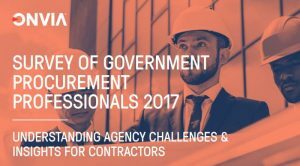 The most successful government contractors do not wait around for a bid or RFP to be issued but are actively building constructive, consultative relationships with government agencies. Without demanding loyalty or future business, these proactive companies will offer helpful advice to busy, overworked buyers about market or product trends, best practices and pricing guidelines that can help procurement staff during the critical pre-bid phase of research and planning. Forward-thinking and proactive contractors should pay attention to these trends and consider how to be sensitive to buyer and user needs in their outreach, communications and project management. Where there is greater uncertainty, stress or confusion on the buying side, vendors that become known for working well with agency teams as valued partners can help differentiate themselves and earn more business even if they are not typically the lowest-priced option. Mostly commonly, we discuss this topic in terms of pure proposal acceptability. 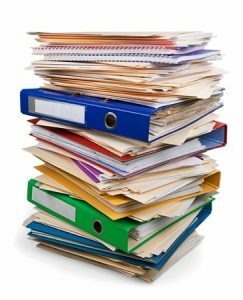 Protest decisions from the Government Accountability Office GAO and Court of Federal Claims (COFC) make it abundantly clear that the burden falls on the contractor to follow directions and include all of the required information in all of the right places. It is for that reason (among others) that we always recommend having an outsider (be it a consultant, a lawyer, or even just another person from your company not involved in preparing the proposal) do a quality check before a proposal is submitted. A more nuanced issue – but just as important – is understanding the RFP’s evaluation scheme. That is, not only what information must be submitted, but how that information will be weighed and measured by the Agency. For example, in the past, we’ve looked at low-price technically acceptable (LPTA) RFPs. The basic idea on an LPTA procurement is that a contractor need only achieve a minimum passing score on its technical proposal – the Agency will not give bonus points for added bells and whistles. The much more important part of an LPTA proposal is price. Among those offerors found to be technically acceptable, the award goes to the offeror with the lowest submitted price. So, the focus on an LPTA proposal should be on getting lean (while maintaining technical acceptability) so that you can get as low as possible (or practical) on price. Contractors that want to improve their proposal drafting skills (and win more contract awards) should always keep an eye on the news and learn from others’ mistakes. Understanding an agency’s award rationale can provide a competitive advantage and keep you well-positioned to receive the next contract. And, sometimes, simply following instructions and staying within the lines can make the difference between winning and losing. 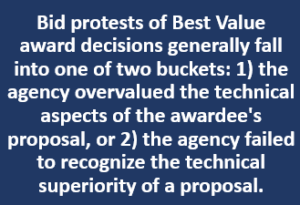 Take, for example, a recent GAO decision discussing the merits of an agency’s technical evaluation. The protest argued that the agency unreasonably overlooked technical details included in the “past performance” and “personal experience” sections of the contractor’s proposal. Business intelligence firm Onvia has released the results of its first annual survey of government procurement practitioners, polling more than 500 pros from city, count and state governments, as well as school districts across the US. For each insight gained through the survey, the report actually separates what each lesson means for both buyers and suppliers. For instance, 42% of respondents said that on average, their requests for proposal (RFPs) don’t receive enough bidders. According to the report, a big reason for the lack of competition was “cumbersome” or difficult regulations that scare off potential bidders, and that the largest agencies face more trouble in this area. Visit Onvia’s site to download the report for free. But the recent success of governmentwide multiple award contracts such as OASIS, and the acceptance of a similar approach for the recent $11.5 billion Human Capital and Training Solutions (HCaTS) procurement and the soon-to-be released solicitation for Alliant 2, there is a growing recognition that this may be the future of federal contracting for multiple award, indefinite delivery, indefinite quantity vehicles. 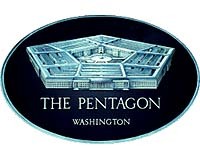 An official contract for the “Offensive Cyberspace Operations Defensive Cyberspace Operations Real-Time Operations and Innovation Cyber Development Custom Software Engineering Services” program is slated for publication Jan. 29, 2016. SHELTER, the nickname for the mouthful of a project title, is a 5.5-year deal that would add to the Defense Department’s growing arsenal of cyberweapons. See draft RFP Documents for Offensive Cyber Operations (OCO)/Defensive Cyber Operations (DCO) and Real Time Operations and Innovation (RTO&I) Shelter Project at: https://www.fbo.gov/?s=opportunity&mode=form&tab=core&id=b76b22fac14eef97d94e90ee8cd4d982&_cview=0. 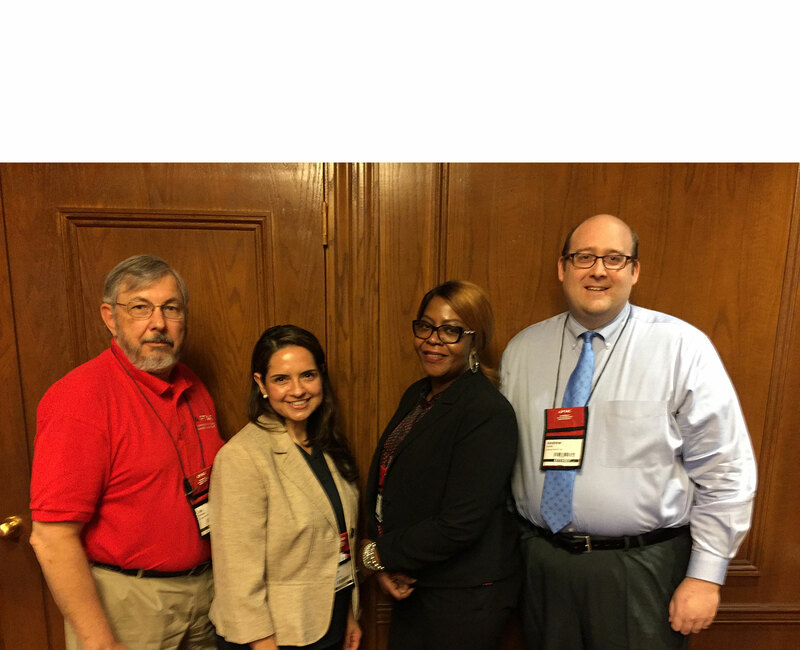 Interested Contractors may submit questions concerning the draft RFP no later than 3:00 pm CST on 18 December 2015.